It is more profitable than making money. It is more profitable than watching TV or checking Facebook. It is more profitable than traveling the globe. It is more profitable than anything else in the world. It is a hammer that breaks the rock to pieces. It is a fire that refines. It is a two-edged sword that pierces to the division of soul and spirit, of joints and of marrow. It is able to make the simple wise. It is able to discern the thoughts and the intentions of the heart. It feeds our soul like bread feeds our body. It is the Word of God, breathed out by him through the personalities and pens of 40 different authors and preserved through the centuries for you and me and future generations. 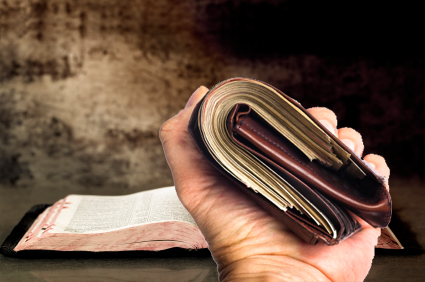 When people tell me they are struggling to find time to fit reading the Bible into their schedule, much less studying, meditating and memorizing, I know they simply do not understand this powerful truth: The Word of God is profitable. It is an astounding promise of God. Should a Christian obey his supervisor when he is told to lie on a work order, or use a knock-off product and charge for the original? The Word answers that question. The Bible is profitable. Always. It changes hearts and minds. It also gives us direction and wisdom when we face a moral or an ethical dilemma. As D.L. Moody said about the Bible, “This book will keep you from sin; or sin will keep you from this book.” Start reading it today! Thank you. It is so easy in this season to lose sight of what is precious We need to pause and focus to be with Precious.